I've been reminded once again that "revision is progress" and the willingness to edit ourselves helps us to uncover the art that was waiting to be found. After a difficult year, I needed to gather courage to attempt anything creative. 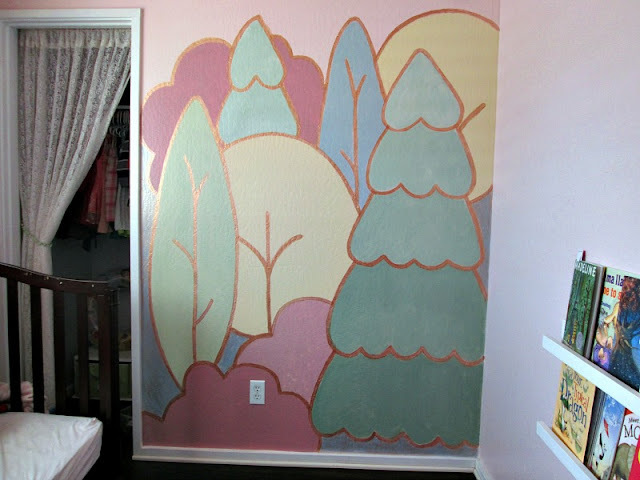 Like all times that I've been stumped before, I looked toward my daughter's room - a blank canvas for some fun; a place to imagine and dream and be a little less serious. 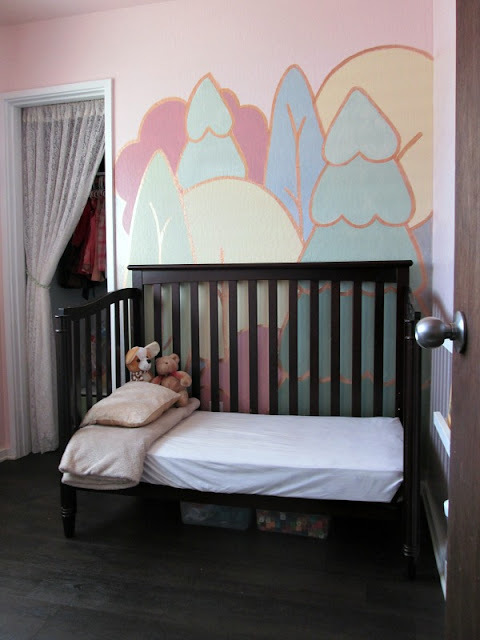 We decided that a mural behind her little bed would be a great beginning. 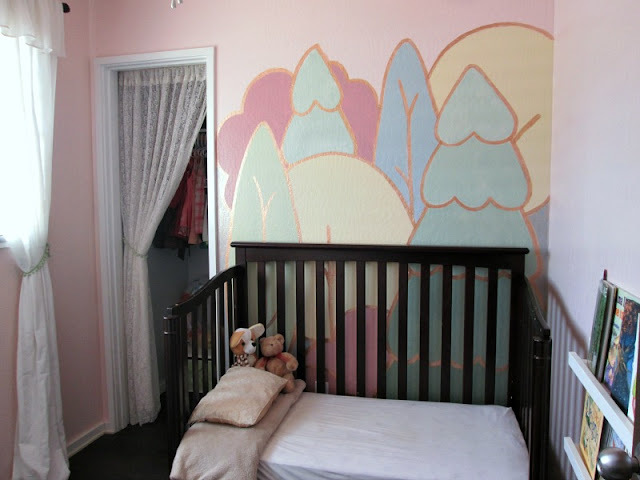 While painting her mural, I found that my ability to achieve a desirable end wasn't the concern; it was my ability to step back, and be willing to revise the project as I worked on it that made all the difference. And here is the final view I stepped back to see a few weekends ago. But it began as an itch in my mind. Then it became a sketch, and then pencil marks, and white paint. And after a bit more editing, a shimmery copper paint outline of a forest. At first, I thought I would just keep the copper outline of the forest on the wall, but the expanse of space cried out for color. 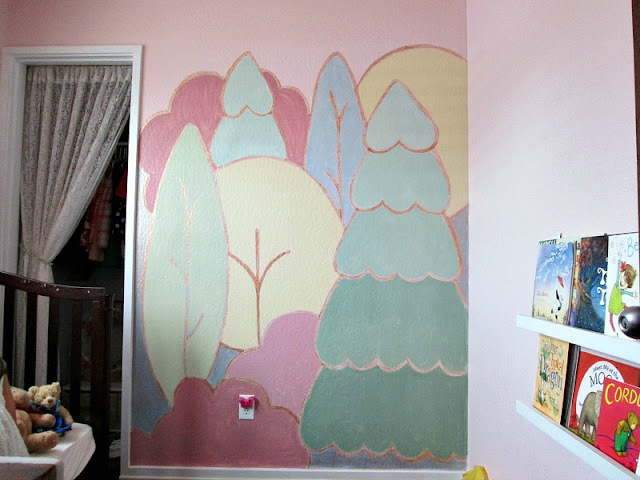 So my daughter and I filled in the spaces with leftover wall paints we mixed together to create new hues. After the second coat, the mural looked relieved, as if it had sighed after finishing its weekend long work of being born. Sitting comfortably behind my daughter's day bed, which is now crying for a change since she's 6, and no longer so little anymore. 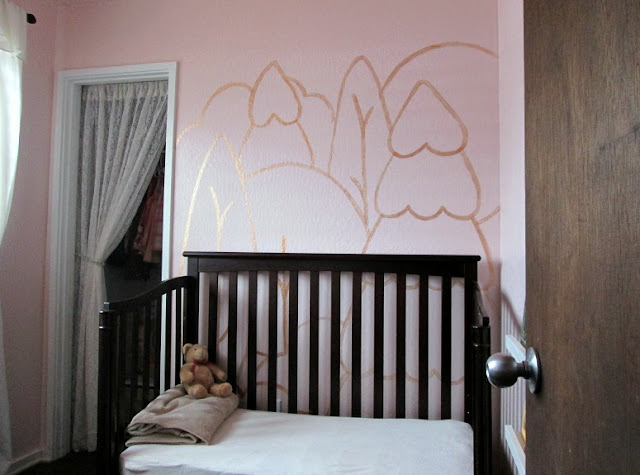 But, I am happy for this whimsical, yet somehow sophisticated start to a new room for a growing girl. Want an easy way to keep track of Sunnyside Up-stairs?